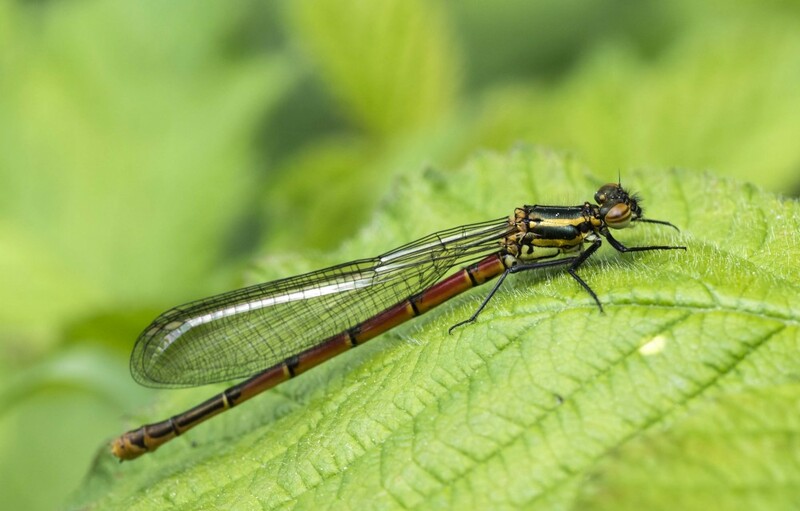 Well after a hint of summer back in February and then a hot week last week I thought I’d better launch the 2019 blog just in case we have early records coming in…..and now snow is forecast and I’m not really sure what the Large Red Damselflies will make of it all! Typically the first adults start to emerge towards the end of April, but with the mixed weather I would say anything is possible and I’m certainly keeping a close eye on the pond. This photo was taken last year by Paul Spear and shows a Large Red Damselfly- always the first species on the wing….though White-faced Darters are often close behind if you’re near Whixall Moss. Please do get in touch if you see any dragons or damsels and we can get the Shropshire flight season underway!